Connor graduated High School in 2015 and continued to dance at Stepping Stone until 2017 when she decided to pursue her lifelong dream in getting her black belt in Kenpo. She is currently at the green belt going on to Brown next month. She graduated Bucks County Community College in 2017 with an Associates of Arts in Cinema Video. Connor is currently attending Temple University for a Bachelor?s Degree in Film and Media Arts. Throughout her college years she has created a few media pieces which can be viewed on Connor?s online portfolio at Frameproductions.myportfolio.com. She is very excited to start her first internship at PhillyCam as a Video Production Intern. Connor looks forward to sharing her work with everyone and to see what the future has in store. 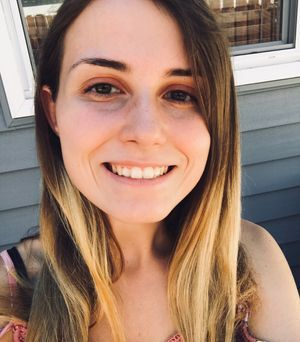 Kasey Morgan Scott is an LPN who studied Nursing at Bucks County Community College.After graduating from Bucks County Technical High School EMS class in June of 2016, she continued on to study at Bucks County Community College taking general knowledge classes she would need for nursing. Once accepted into Bucks County Community College LPN Nursing program, she started her journey towards her career the summer of 2017. After a long 12 months of class time, studies, clinical and tests she graduated in June 2018 as a Licensed Practical Nurse after passing her boards. Her career began as a LPN at the Bucks County Correctional Facility in August of 2018 working PRN as a correctional nurse, then adding a full time position in pediatrics as a LPN with Firely Pediatrics in October 2018, which she absolutely loves. 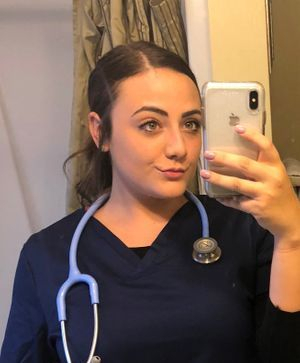 She is looking to continue her studies in August 2019 to become a Registered Nurse and then onto become a Nurse Practitioner, with plans to focus her career in neonatal/pediatric health. In her time away from being a nurse, she enjoys spending time with her family and giving lots of love to her niece and nephews. She still makes time to fit dance at SSDS in her life as she continues to participate in adult classes because she will always have a passion for dance along with traveling the world.